Thank you for all of your lovely comments about Hooty (and Bitey) from my last post. Although I love sewing and making things they are not things that I am naturally good at and it is a challenge for me to create anything even vaguely crafty. I bought a sewing machine earlier this year and have made some cushions but have dreams of being able to make my own clothes and things for my home. I have never been good with my hands – I cannot draw, paint… I cannot even cut in a straight line. My hand sewing is messy; uneven and loose and my creativity is limited to being able to write (thank God I have one talent) and…. that’s about it. Do other people have things they really enjoy doing but are not very good at? I struggle with the fact that I really am bad at anything vaguely crafty but I really enjoy doing it. Do you think it is something you can learn or does it come naturally to people? 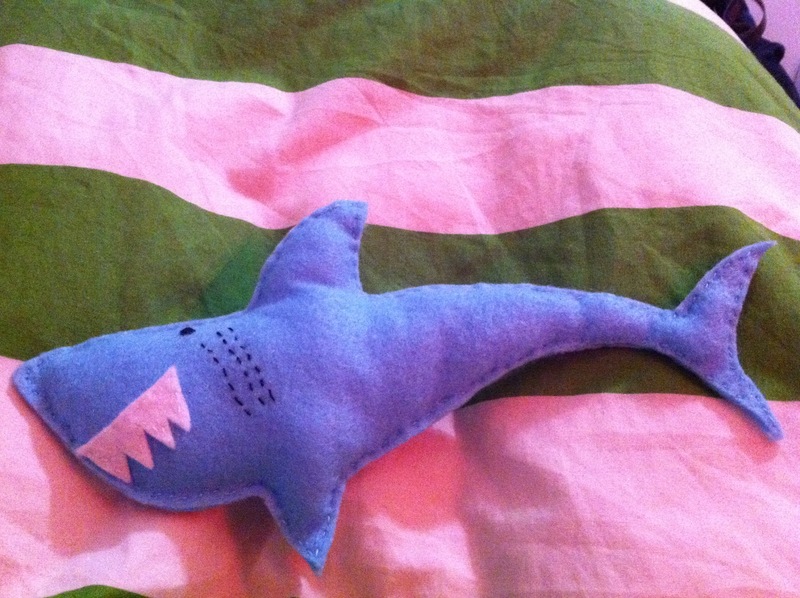 This is Bitey by the way, the shark that Tom made. He sketched out a template and whipped him up in about 45 minutes. So I guess we know who has the crafty talents out of the two of us! 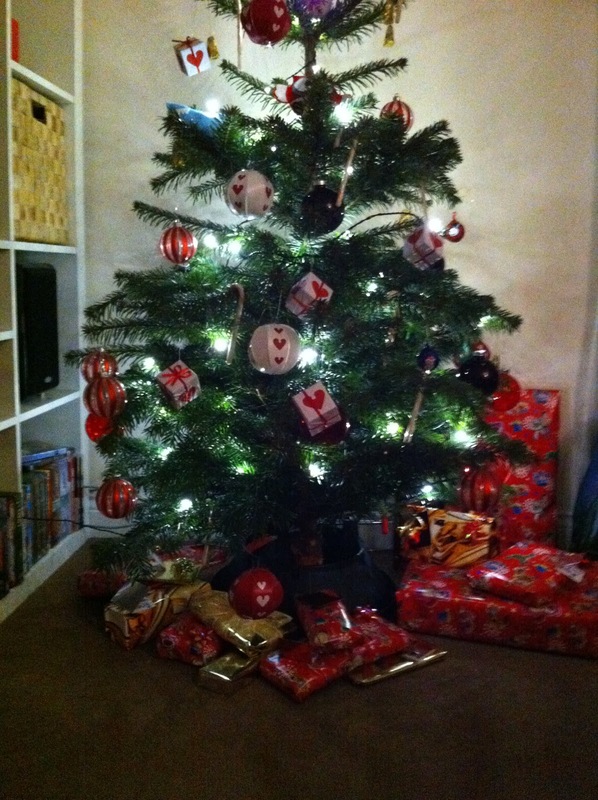 As Christmas draws closer I am beginning to get more and more excited. I cannot restrain myself from buying way too many presents for my friends and family, and even when I have finished all my Christmas shopping I find more things to buy and more little stocking fillers sneaking into the trolley when I do a supermarket shop. Last year I started a tradition where I now make my parents’ both stockings as I want to give them something back for all the years I woke up to a pillowcase full of presents and a tree overflowing downstairs. Plus, I can’t bear the idea that when I’m old enough to have my own children that I should stop getting very many presents! 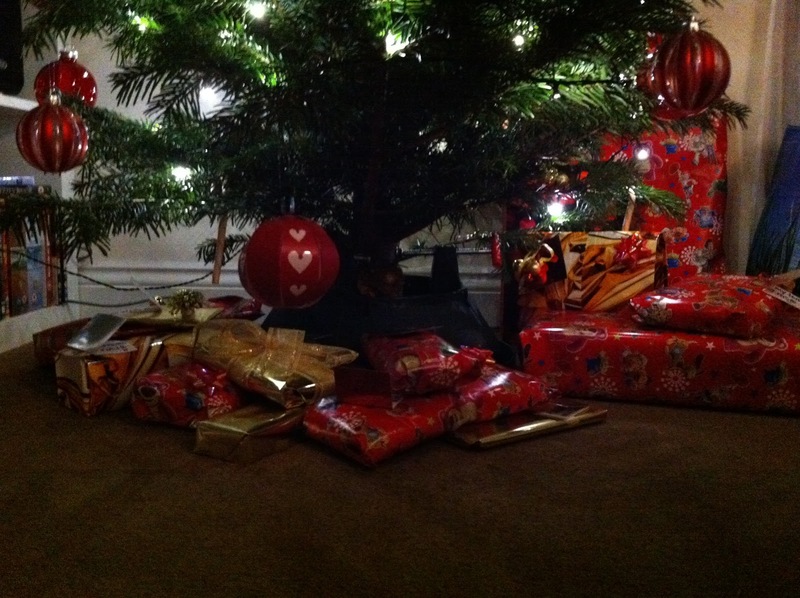 I am very aware how lucky I am to have had so many brilliant and privileged Christmases and I never take for granted what I have and what I am able to give others. Last night I went to Lush to buy a couple of bits for Christmas presents for friends and picked up a Böögg bath ballistic for my pre-bed bath. I must admit that I do love Lush – their products smell absolutely gorgeous and are perfect for when you want to treat yourself and others. Are there any other Lush fans out there? I think it is a bit of a marmite love it or hate it thing as I have friends who can’t even bear to go near the shop. It got me thinking that it’d be fun if anyone else out there wanted to participate in a fun little trade, or exchange letters and packages. Drop me a line or leave me a comment if you fancy a penpal – I love post!